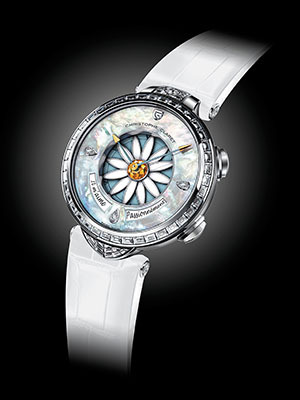 Last month, at least 150,000 people, including global watchmakers, buyers and the media, converged at a mega annual springtime watch and jewellery event in Basel, Switzerland, to showcase the latest trends of luxury accessories. 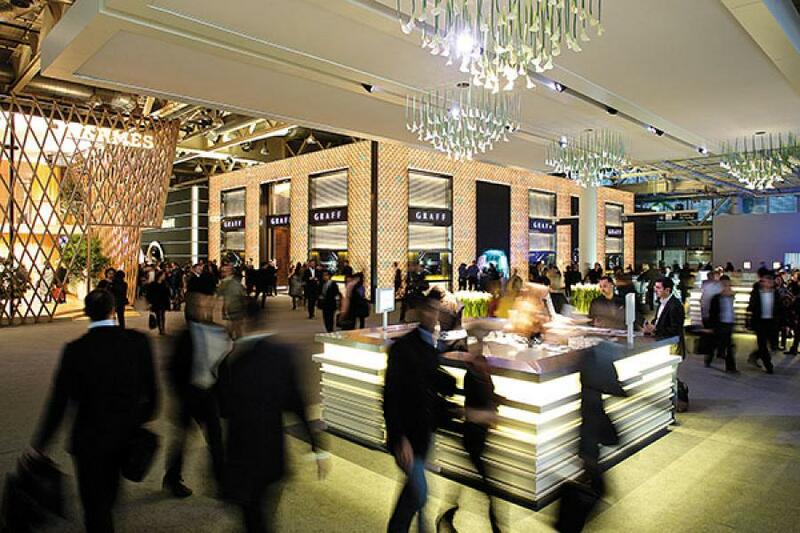 At least 1,500 exhibitors, from over 40 countries, revealed their wares at Baselworld 2014. Over the last decade, this world fair has attracted increasing attention led by growing demand from the economies of China, India, Russia and Latin America, even as demand had waned in the West amid the global slowdown. Forbes India spoke to some of India’s largest luxury watch retailers, who were at Baselworld to trend-spot and identify brands creating the most buzz. “There was less exuberance but an emphasis on good substance. The whole mood was getting back to serious growth,” says Yashovardhan Saboo, owner at Ethos Swiss Watch Studios. Ethos started operations in 2003—with brands such as Omega and Tag Heuer—when India first allowed watches to be imported officially. A retail chain, part of the listed Kamla Dials & Devices Ltd, Ethos is likely to report a near-30 percent jump in billing orders in the fiscal ending March, Saboo says. In recent years, people in India have become far more discerning about the brands and type of watches they want, Saboo points out. “Earlier, people were a bit apprehensive about colours like pink, gold and blue. Also, women were earlier not so enthused by large watch crowns. Now they are experimenting more,” Saboo says. The activity at Baselworld was reassuring, says Biren Vaidya, MD of the Rose Group. “It was nice to see the brands being so engaged in these recessionary times,” Vaidya, popularly called ‘Bee-Vee’, says. Hublot also released the Big Bang Unico Chrono—the official Fifa World Cup watch—with the seconds and minutes hands featured in Brazil’s yellow-and-green national colours. This watch has the 45-minute mark highlighted in red to signify the end of one half of a soccer match. Another top Indian retailer, Viraal Rajan, who heads family-owned watch boutique Time Avenue in Mumbai—a popular destination for Bollywood stars—is optimistic about the growth of India’s luxury watch market. “The classics are more popular than ever,” Rajan says, identifying Audemars Piguet, A. Lange & Sohne and Richard Mille as brands that are becoming popular with India’s richest. 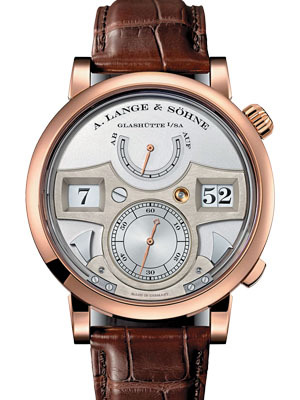 Why you need it: The world’s first mechanical wristwatch with a jumping numerals display and a visible chiming mechanism. The full hour is indicated with a reverberant low-pitched tone, each quarter-hour with a clear high-pitched tone. Why you need it: If perpetual calendar watches excite, here is a winner. 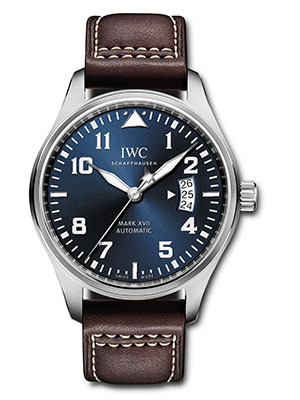 IWC Schaffhausen brings a timepiece with an automatic perpetual calendar, which displays the day, date, month, year and phases of the moon. It requires no adjustment to account for the differing lengths of years, even in a leap year. This watch features an impressive 7-day power reserve, indicated by a hand at the centre of the date sub-dial at the 3 o’clock position. This watch is water resistant up to 30 meters/100 feet. Why you need it: The official timekeeper for the Fifa World Cup in Brazil. Collectors call it the ‘Soccer Bang’. 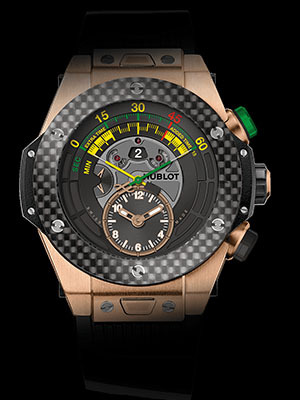 Hublot has unveiled a watch with a bi-retrograde display—the hands return to their starting points at lightning speed. When the chronograph starts, its seconds and minutes hand move from left to right in a circular arc of 45 minutes—one half of a soccer match. 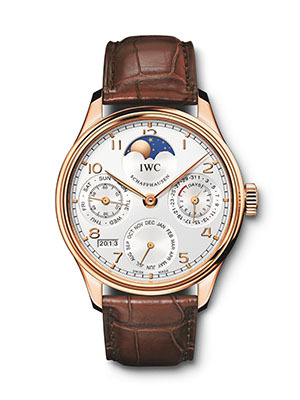 Why you need it: This high-tech perpetual calendar challenges the IWC Portuguese. With a dual-time function and the legendary self-winding movement, it’s the most consumer friendly perpetual calendar produced. 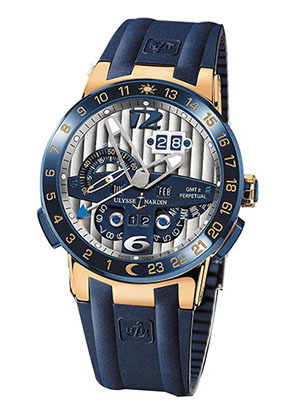 An 18-carat rose gold and ceramic crown, it comes with a blue ceramic bezel and matching rubber strap. Water resistant up to 100 meters/330 feet. Why you need it: One of the most distinctive sport watches in the world. 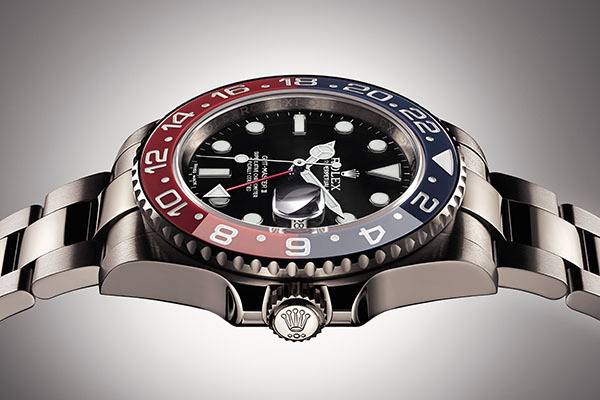 It’s affectionately called the “Pepsi” for its red and blue bezel. A technical marvel, travellers can simultaneously read the time where they are as well as the time back home. 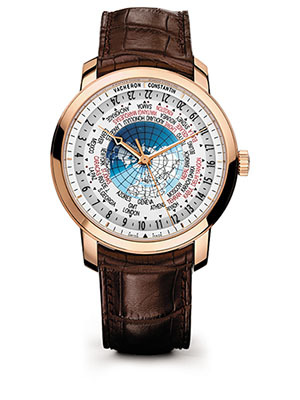 Why you need it: The Vacheron Constantin master-watchmakers have sought to create a mechanical movement capable of indicating 37 time zones. The display consists of three dials: A sapphire dial with a unique day and night shading; a metal dial with a “Lambert projector” type map and a metal chapter ring. Why you need it: At just 4.05 mm thick, this is one of the thinnest and flattest manually-wound mechanical wristwatches in the world. Limited to 880 pieces, it is both subtle and simple—with just an hour and minute hands and hour-markers. 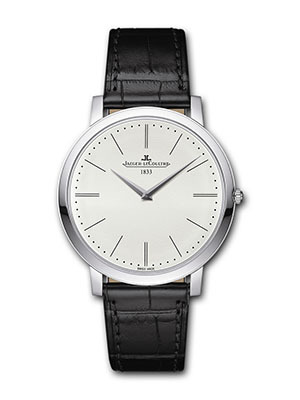 It comes with an elegant alligator black leather strap, making this a fine tribute to Jaeger-LeCoultre’s finesse in developing ultra-thin watches. Why you need it: This special 1,000-watch limited edition was manufactured to celebrate the 70th anniversary of the literary classic, The Little Prince, last year. The caseback depicts the Little Prince himself. It’s an automatic 30110-calibre movement with a 42-hour power reserve and a date window. Thanks for your nice effort in sharing the views about buy online watches in India. Watch is the reflection of your personality."